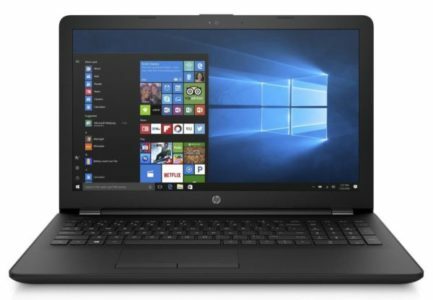 This evening, let’s take a look at the HP Envy 17-ae1, a 17-inch notebook with a neat and slim design that demonstrates an interesting performance / battery-life ratio with the support of a beautiful screen. 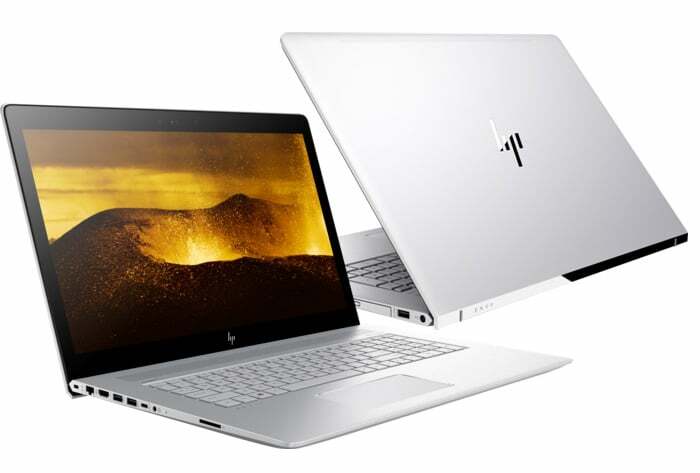 Housed in an aluminum case, the HP Envy 17-ae1 is dressed in a silver color on the entire shell except the frame of the black screen. The assembly is qualitative, without staggered elements or abnormal spaces between parts. On the other hand, the rigidity of the base leaves a little to be desired with a rather flexible keyboard surround under the pressure. Note that the battery is not removable as no maintenance hatches are provided. Therefore, the PC must be completely disassembled to access the components, and it is not easy. The connector disappoints a little tester in the absence of USB Type-C Gen2 Thunderbolt 3. Here, only an HDMI output, three USB 3.1 ports, a USB Type-C Gen1 port, an Ethernet port, a DVD burner and a SD card reader (very fast) are present. The HP Envy 17-ae1’s keyboard inherits backlit, flat, smooth keys. The striking is comfortable with a decent stroke depth, a very firm actuation point and well-defined feedback. The keyboard may bend slightly under an energetic strike but this is not a handicap. As for the touch pad, its surface is large enough for gestural input and its smooth surface allows precise and comfortable use. The running of the integrated mouse buttons is short but their return and activation point are well defined. Based on a Full HD matte IPS screen (1920 x 1080 px), the model tested continues to convince with very good brightness (329 nits max) and contrast (1135: 1) levels, not to mention the lack of glittering brightness (PWM). The IPS panel offers wide viewing angles that remain legible in all directions and colorimetry is decent with 88% of sRGB space covered and a Delta E around 4. Built around a low-consumption Kaby Lake Refresh i5 Core i5, 8GB of RAM and a 1.1TB hybrid storage, the model tested is doing just fine with everyday use with ease. for some more demanding tasks, such as editing. The system proved particularly fluid thanks to the SSD and the RAM in good quantity, but also thanks to a good exploitation of the Turbo processor. The i5-8250U was able to achieve performance similar to an i7-7700HQ, only intermittently. Opposite, the GeForce MX150 is a good alternative for casual players since it is able to launch all the titles of the market with a correct gameplay. Certainly, this requires lowering the definition (1600 x 900 px or 1366 x 768 px) for the most greedy opus but the frame rate will remain honest. At rest, the ventilation system is mainly switched off but the PC is not completely silent due to its audible hard drive. At low speed (Internet browsing), the fan is again practically inaudible and the level was around 39 dB during a more intensive operation. It’s very correct for its level of performance. In addition, the temperatures are well dissipated and do not affect the components or the hull. It took a little over 8 hours for the HP Envy 17-ae1 tested to make weapons in Web browsing with active WiFi. This is a very good result, especially for a 17 inch.